Good evening, this is another award post and some interesting facts about me. 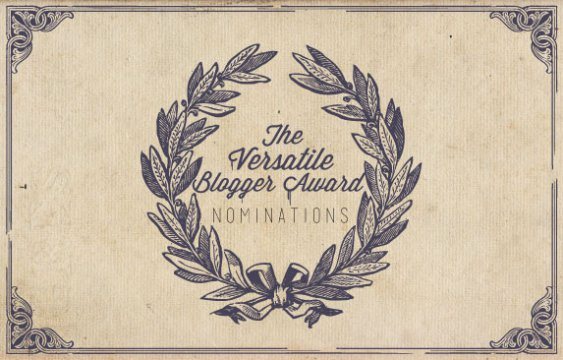 Thank you so much Millie (The Mind of an Eclecticist) for nominating me for The Versatile Blogger Award. I like eating jellied meat with mayonnaise. I sometimes watch League of Legends streams whole day. My favourite flowers are yellow roses. I used to have a large collection of Kinder Surprise toys. I used to feel naked without my rings and never left home without wearing them. My favourite book is still Count of Monte Cristo (read it first time when I was in 8th grade). I used to sew my own clothes. And now onto the nominees. 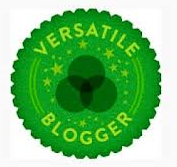 I decided to nominate some bloggers who have inspired me a lot. I know some of you already have gotten this award.. this just shows how amazing you all are. Bella from SeizeTheNail, Eva from Flight of Whimsy, Jacqui from Craftynail, Chelsea from Cuteberry Nails, Helen from Nail Art For Dummies, Brijit from Brijits Digits, Janelle from Elle and Ish, Eeeek!Nail Polish! Congrats! You deserve it! Thank you for nominating me! Im sittin here wondering what jellied meat is. Is it like spam ? In a can? And it’s best when homecooked. Some shops sell it also in plastic boxes here.